Samuel was a prophet and judge for the Israelite people. When they asked for a king he knew they should respect God as their King, but they continued to beg for a man to be their king. He made the above statement after the coronation of Saul to be their king. Though Samuel knew they were in the wrong to appoint a man as their head, God allowed it and later proved to them that no man deserves to be our head. But even after they had neglected the headship of God, Samuel made the statement “far be it from me that I should sin against the Lord in ceasing to pray for you”. Intercessory prayer is our duty as Christians toward each other. It’s not an optional activity. We are told to build each other up, to edify the church, and this is one way in which we do that. Intercessory prayer, praying for each other over specific situations and needs, is one vital way that we “love one another as I have loved you” as Jesus commanded. He prayed for us, those who would come to believe after He was resurrected. We are to follow that example. 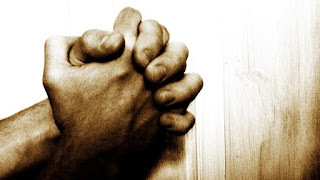 Intercessory prayer is not a burden, a “job” we do for God, but the way in which we deal with the problems of life. When you love someone, seeing them suffer through any situation is painful. By praying for them, that burden is made lighter as we share that load with God. Either we believe that prayer changes things, or we don’t. For certain, if we believe it does we will use it as the tool in which it was meant to be to ease life for those we love, and for ourselves. The absence of intercessory prayer in the life of the believer only proves a lack of faith in God, and a lack of love for each other. Look around you today at the problems others are facing. Could it be that YOUR prayers could change their lives? Could YOUR prayers be the ones God longs to hear for them? Could it be that their suffering is to draw YOU to prayer? Samuel said not praying for the Israelites would be a “sin against the Lord”. Indeed it is a sin against the Lord when we fail to pray for one another. It breaks His commandment to love one another.